There's a better way than using landfills. At some point, all batteries run out of juice. This is no different for lithium-ion batteries, the power source for electric vehicles. Owners will simply get a new car whenever that eventually happens, but what to do with the spent batteries? Tossing them into some landfill is not the answer. Audi has announced a plan to recycle used lithium-ion batteries to be re-used for plant vehicles such as fork-lifts and tow tractors at its Ingolstadt factory in Germany. This is just one way automakers are experimenting with various recycling methods for depleted batteries, which also include the use on solar-powered roofs. 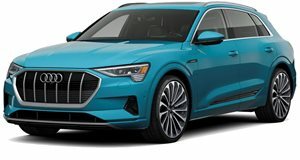 Audi’s factory vehicles, which have so far been powered by lead-acid batteries, also require regular recharging just like road cars. The old lead-acid batteries can weigh up to two tons and require several hours of recharging time. By contrast, the lithium-ion battery packs can be charged directly where the vehicles are parked during regular downtimes, like during shift rotations. Obviously, these new/old batteries and charging method is safer and more space efficient. And in case you’re wondering, Audi confirms that whatever energy is left in these lithium-ion battery packs is more than sufficient for use in factory transport vehicles. For example, the battery of the new e-tron SUV consists of 36 individual battery modules and is fitted under the vehicle’s passenger cell between the axles. Once the batteries are removed, specialists check each individual module to determine whether or not it’s still usable. Assuming it is, they then install 24 modules in each new battery tray, a relatively inexpensive and fast way to extend battery life. 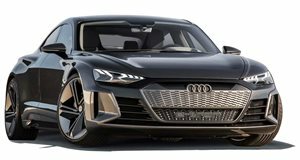 Converting its fleet of factory vehicles in all of its 16 production sites across the world will save Audi millions of dollars. Its hometown Ingolstadt plant is only the beginning.